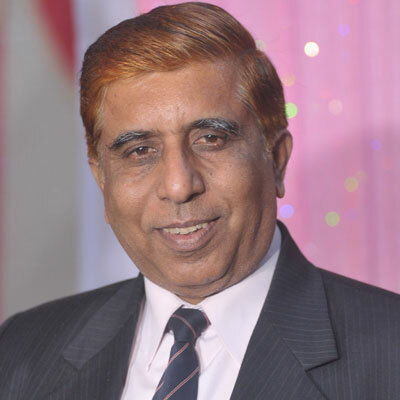 Dr. Sandeep K. Malhotra is currently working as Professor at University of Allahabad, Allahabad, India. He obtained his Ph.D. in Environmental Parasitology from University of Garhwal, India. He is having 40 years teaching and research experience. He successfully completed 15 research projects funded by International & National Funding Agencies. Dr. Sandeep received number of honors includes Golden Globe Award. 2014-	International Society for Biodiversity Conservation, Gold Medal Award, RTCCRB. 2012 International Conference on Recent Trends in Climate Change Researches vis-a-vis Biodiversity, Recognition Award & Gold Medal from Zoological Society of India, Dr. B.P. Pandey Memorial Oration Award, 2006-IICB, XVIIth National Congress of Parasitology, Kolkata, Awarded Gold Medal for best research paper presentation on Hydrobiology and Pollution at Jamshedpur Symposium, Awarded Young Scientist Gold Medal, and many others. He also invited as Judge at International Estuary Conference, San Francisco, USA, and International Conference World Aqua, Nashville US, and Guest Speaker at West African Research and Innovation Management Association (WARIMA) and Association of Commonwealth Universities (ACU), Ghana. He is member of Australian Society for Parasitology, Australia, Japanese Society of Parasitology, Japan, Indian Science News Association, India, Royal Society of Tropical Medicine & Hygiene, UK, and life member of Indian Science Congress Association, India, Zoological Society of India, Indian Society for Parasitology, India, Indian Academy of Parasitology, India, Academy of Biosciences, India, Helminthological Society of India, and fellow of Helminthological Society of India. He also attended 101 national and international conferences and performed many presentations. He supervised 16 students, and 15 awarded D.Phil. Degree under his supervision. He has published 9 books, review 5 papers, 59 research papers in books, 54 research papers in international journals, 111 research papers in national journals, 210 communications, 16 popular articles contributed as author/co-author.